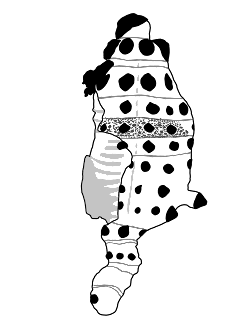 ← Baron von Nopcsa, Scolosaurus, and the spiky-clubbed ankylosaur. The only known tail club of Ankylosaurus actually has nothing on a couple of large Euoplocephalus tail clubs (ROM 788 and AMNH 5245)! The large Tarchia tail club (on display in Ulaanbaatar, but I think it still has a ZPAL number) is currently the largest I have measured and that I know of. Well, the relatively small size of the AMNH 5214 club can be explained by the immaturity of the specimen. If only CNM 8880 included a club I think it would surpass those of E. tutus and T. gigantea. Even the Tarchia club is consistent with increasing size to confront bigger tyrannosaurs, considering that Tarbosaurus was bigger than Campanian relatives. Oh btw, I understand another A. magniventris club is known from the Ferris. 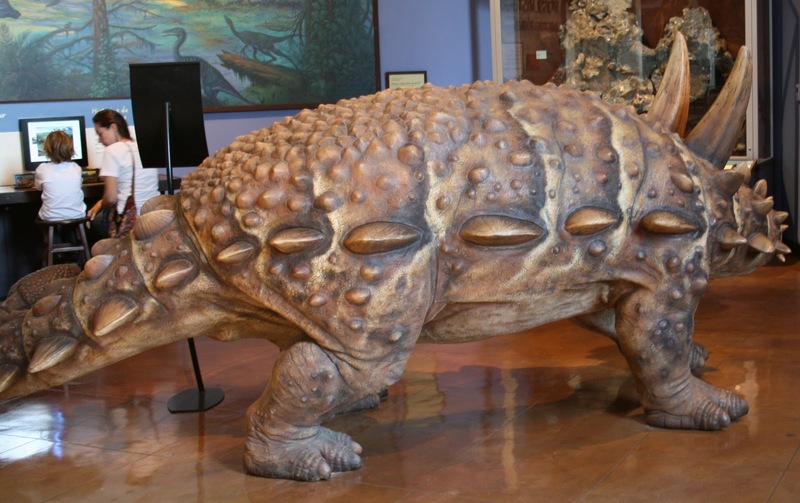 Oh, I didn't twig that you were involved with renaming the specimen of the Euoplocephalus to Dyoplosaurus until just now! 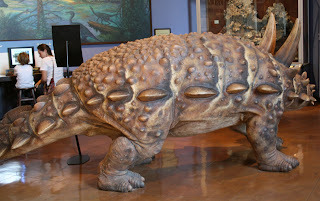 I've been trying to get the people in my office to call our animatronic Dyoplosaurus by the right name ever since I read the articles and confirmed with Royal Tyrrell that our model was based on the one you were researching. It's such a great story. I started following your blog because of the Hornby Island pterosaur(bravo)and it is part of my every day readings along with my first cup of coffee when I'm not out on the road.